Head down toward the terrain below, feet above me to shrouded stars, I fall. White flame licks my body, engulfing me both from within and around but neither burning nor consuming me. Beyond the white veil I can see the red and yellow hues of friction that threaten to destroy me as I plummet, but they do not, perhaps cannot, pierce whatever luster already claims me. Time, at least my awareness of it, slows as I reach my destination on the surface of a blue planet, and I can hear whispering. Indiscernible. Unintelligible. Strangely, I cannot help but add another adjective … unfeeling. The voice seems so out of place within this dream, or maybe a memory, so distant from consciousness, but the sound does not seem so unfamiliar that I cannot … rather should not inject my own understanding of a personal tone. My nightmare draws to a close with barely perceptible sensation. Darkness, pain … so complete, so absolute as the white veil turns to ash and upturned rock beneath me, and finally, a faint image. A glimpse into an endless, bleak pool. The intensity of the whispers recoils, and the endlessness of the bleak pool follows, making way for something more. An object unfamiliar, named in terminology foreign to my understanding … an eye, for lack of any better description native to my mind, an ocular protrusion from a void the likes of which I cannot recall ever seeing before, stares through me with an utter, unspeakable hate. And again, pain. Only pain. Another day, another long walk all alone in the middle of a mountain paradise. At least, that was what it should have been. Cool, serene strolls through the forest around her home in the fading, mid-afternoon sun often brought peace to the reclusive girl’s mind, but even the soft rustling of the branches and calming breeze gave little comfort today. Saikah Dalca, a quiet young woman as odd as she was beautiful, trudged over her familiar pathways so regularly visited while lost in thought. No matter how many times she walked this way, there always seemed to be some new sight to behold, but that was to be expected. Distracted and introverted as she often was when wandering, it was miraculous she ever found her way back to the cabin. A t-shirt and long skirt, her tediously simple choice of outerwear for such ventures, came with the inevitable disadvantage of being unnervingly cold in the mountain air. Moreover, her preference rightly called her sanity into question, given that this was one of the coldest months of the year, and she knew it to be so when setting out! Fortunately, she had remembered to wear a long, mottled cardigan to compensate—little as it did—this particular evening. Both of her arms stubbornly clung to each other over her chest, partly from a need to ward off the creeping cold of the approaching dusk. Saikah had lived here a long while, and had taken many such walks in her time, but something today seemed amiss. Chilly drafts wafted over her skin in spite of her efforts to beat them away with the comforting—albeit fleeting—warmth provided by the sweater coat. Before long, Saikah discovered her discontent was not one that could be easily, or even physically, thwarted. From the onset, the day had grown peculiarly dark to her. Cold. Bleak, even. It was the dreary, storm-less cast of daylight—as if the sun was simply uninterested in shining today—that had the wandering young woman quivering. Her uncanny eyes, with sparkling, white-silver gloss where once her irises had been a vibrant blue, flitted over the landscape searching out a new route to take. Beneath her long, cascading locks of white and silver hair, her thin frame effortlessly—and rather quickly—glided along the rough, obscure grounds of her mountain dwelling. Practiced, ginger steps evaded twisting roots and jutting, fallen branches along her path. Every now and again, however, her absentmindedness would get the better of her footing. But she never once fell. Years of honing her balance had come in handy. A stray root, curving well above the ground and marred by splintered scrapes—no doubt left by some passing beast—caught the bottom of her sweater-coat and tugged as she unknowingly continued on her way. Though mildly annoyed, Saikah stopped her thoughtful march and calmly moved to unhinge her snagged garment. “This coat is important, dammit. Don’t give me any trouble,” she whispered softly to the root as she retrieved the ensnared threads of her sweater. “There we are.” Then, to nobody in particular, she murmured, “It was my mother’s. I can’t replace it if anything happens. It was a gift …” Her voice trailed. As she tenderly unwound the last threads from the splinters, an inaudible phrase passed over her lips. Happy birthday, Saikah. Just one more year gone by. Alone. Turning back to keep on schedule with her walk, Saikah looked out over the woods and noted a distinct failing of distinguishable colors. It’s not that late, is it? she wondered. No. Full nightfall isn’t for another hour or two, if even that soon. Glancing up to the fading horizon, she could clearly see the slowly dying hues of sunlight that should have been washing over the treetops and lighting her path. Bright, beautiful arrays of color glided overhead alongside glimmers of sunlight breaking against the mountains. And yet the world around her continued to grow many shades darker. Deciding it might be best to head back home, Saikah began to tentatively retrace her steps. As she did so, however, a subtle idea, as absurd as it was insignificant—one she was certain could not possibly have anything to do with the sudden decline of the day— crept into her thoughts. It was an urge to glance straight up, as if there would be something at all interesting to find. The idea that something above her could blot out the remains of the evening sun was ridiculous, especially when the sun was so far set that it could not possibly be shadowed by an object above her. At least, no object lacking discernable presence on the horizon could do so. Ridiculous, indeed, and unworthy of any merit she could fathom. Even still, some lingering itch pressed her to look. Turning a curious eye skyward, Saikah quickly noticed something moving out of the corner of her eye—a shudder of sorts—distinct and voluminous enough to garner her full attention. Craning her neck to gaze straight up provided little more clue as to what had distracted her. At first, the sky seemed no less mundane than ever. No stars filled the heavens just yet, only wisps of cloud and color. And yet Saikah could not avert her shining silver eyes from the view. A distinct hum filled her ears, not unlike the dull drum of electricity moving through industrial power lines. It was a peculiar disturbance, especially because such constructions were sparse out in this area, and the nearest towers were easily a dozen or so miles away. They could not possibly be the source or so she believed. Just as the eerie draw on her focus began to wane—though not without a hint of disappointment from the curious girl—and Saikah felt her feet begin to idly continue their journey homeward, the skies above and beyond opened up. Not in the manner of rain or wind or splitting lightning. No, at first Saikah lacked the words to describe what she was seeing. Language alone could do it little justice. All she knew for certain–laughable as her certainty was—was that the fading twilight so prevalent a mere moment before was there no longer, peeled away by some great, unseen hand or force of nature. Unveiled with crisp, cloudless clarity, the starry universe idly shone over darkened land. But something else lurked within that vast sea of sparkling light and empty space. It crept closer by the moment, growing from the size of a distant star to the overwhelming girth of the visible sky within seconds. Or rather, what was most likely seconds. To Saikah, staring with jaw gaped and arms hanging listlessly at her side, the mere moments it took for the object to engulf the sky might as well have been decades. A pit of churning oil, though Saikah had never once had the pleasure of gazing into one before, was the only comparable image she could attribute to the thing above her. Though, much to her dismay, she suspected an actual pit of crude might have been far more pleasant to look upon. A sickening substance coursed throughout the steadily swelling object, writhing and pulsing in alternating sections, all roiling asynchronous with the rest of its form. It flowed and stirred, not much unlike waves of a storm-tossed ocean. Tendrils of inky black reached out along its edges to grasp at the last of the receding skyline, granting the whole entity an even larger and more vivid presence. Saikah could scarcely find any manner to describe it, much less entitle it. Beneath raging sea of undulating black, a beige light glared through. With it came rapidly dissipating peaks of brilliant red and streams of dull purple. Whatever it was, it seemed anything but natural. And yet alive. As she stared into its depths so high above her head, she knew something stared back. She could feel it. An involuntary, feral need to flee pulled at Saikah’s legs and begged them to carry her far from where she stood. Her knees buckled instead, and no force on Earth could tear her wide-eyed, slack-jawed visage from the sight above. Helplessness needled her in the face of the thing growing ever closer, but all she could manage was to choke out a scream. What should have been a scream, at least. The cry was nothing more than a pathetic whimper once it left her lips. Even that meager effort was snuffed out by constant thrumming in the air. In spite of herself, and seeing as running was no longer a readily available option, Saikah attempted again to analyze the horrific image. Pure disorder ruled the pulsating space, which spanned hundreds, perhaps even thousands of miles well beyond her horizon. Among the endless insanity, Saikah could only make out a single glimmer of centralized focus. She felt compelled to study the twinkling gleam, tiny as it was, just as she had been compelled to look up in the first place. A tiny speck of bright luster shimmered at the apex of her view. Two, in fact, danced amidst the turmoil with one another in an uneven pivot, one glowing bright white and the other dull red. Their shimmers grew more distinct as she squinted to focus on them, but then they suddenly vanished beneath a shifting tide of darkness. Voices, thousands of them if not tenfold more, screamed in indiscernible, immeasurable agony. Agony and rage. Piercing, grating cries of pain all resounded together in a collaborative screech. Echoes resonated over the mountainside, shaking branches from their trees and scattering scores of birds from their perches. Black clouds of panicking wings took to the skies, flying with both aimless pursuit and reckless abandon over the sprawling wilderness. Many collided with their disoriented brethren, and they fell back to the rumbling earth below while a lucky few managed to clear the area. Another inaudible scream twisted Saikah’s expression into pain-wrenched angles, eyes squeezing shut and hands tightly clutching her ears as if such feeble gestures could shut out the terrible clamor. Even as she did so, her ears began to leak rapidly cooling fluid that spilled over her palms and ran down her arms. Blood stained the dirt path on either side of her doubled-over, trembling body. Every inch of her skin crawled, suddenly clammy and unbearably cold, and she shrunk further into a fetal ball beneath the subtle warmth of her mother’s old coat. It hurts, the disembodied whisper choked. Why does it hurt? I burn. Get out of my head, she screamed back. Stop this! Leave me alone! Squinting against the pain, Saikah tried to look at the massive object above her. Its edges were webbing and receding, revealing the stars once more. The pale beige light beneath the darkness flickered and died in large sections. What few purples and reds still pervaded the oily black surface followed suit, vanishing into the abyss. The twin lights above had not resurfaced, but in their place a new bulge of radiance shimmered. Greying shades of white and thinning volumes of black encircled one another where the dots had danced their circular pivot. Despite the ethereal terror engulfing her world, the shivering young woman could not help but admit a simple truth about the sight. She whispered a soundless ‘beautiful’ into the din of the howling screech. But a silent oath—one difficult for any to keep—swore her to never speak of the event in such a manner again, as such a thing deserved no such praise. All at once, the bubble of radiance ruptured and burst, scattering the darkness around it. Each of the individual voices in the wailing chorus silenced one after another until all had passed into obscurity, though the remnant ordeal persisted for an uncomfortably long time. The world-sized mass of darkness above dissipated as if no more than wind-swept steam, leaving little trace it had ever been there to begin with. And with it, the last of the howling noise faded into obscurity. Twilight would not return, however, as the sun had long finished its descent. Only sparse, misty clouds and a starry night remained aloft. Saikah continued to kneel, cradling her head and bleeding ears between her trembling hands. A distinct and unpleasant texture coated the inside of her mouth, barely less souring than the salty taste of her own tears passing over her lips. Standing had not initially seemed remotely plausible, and after a few minutes she wondered if her legs would even obey her unspoken pleas to move. If she could not return to her cabin soon, she risked freezing to death in a place nobody was likely to find her. A part of her was all right with that. The rest could only ask her to wait. Some other night, she told herself. Not now. I have to get home! I don’t want to die here. Not tonight. At the very least, I’ll have a story to tell when I go to the clinic tomorrow. Rasping whispers exploded into Saikah’s mind once more, no longer the disorganized screeching from before, but no less crippling to bear. It hurts, the voices cried again. One particular droning, masculine tongue, ancient in quality and bass as a bull fiddle, erupted into the forefront. I do not want to hurt. Stop it, Saikah hissed wordlessly. Who are you? What do you want? Leave me alone! Alone, the male tone responded. Me? Me, what? Let me be, the poor girl moaned. Leave me! Brief silence stilled the presence. Calm invaded where it should not rightfully have been. I know you, it rumbled. A booming roar highlighted by earsplitting whistles echoed over the mountains. Saikah scanned the skies, searching out the new disturbance. Fresh tears welled in her eyes as she instinctively clawed at her own skin, dreading the return of that terrible vision. Instead, a new light in the air greeted her. A meteor shower. Or rather, a single meteorite. Small and bright, it careened through the air trailing shimmers of fiery discharge and smog. Something more caught her eye, just around the glimmering fires surrounding the falling light. Colorless motion, utterly lacking any true substance or distinction unique to itself, as if the path of the meteorite rippled through the very fabric of reality. As it grew closer, both the formless disturbance and the object became vastly larger. 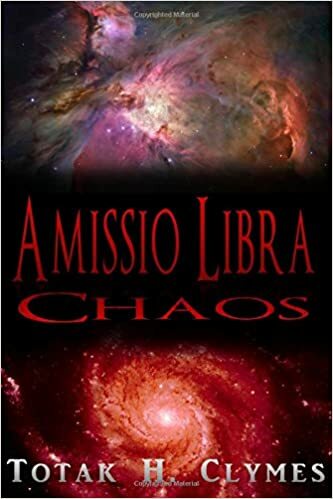 From what she could tell, the trail of the meteorite seemed to lead up into the former center of the now dissipated horror—right where the twin lights had rotated with one another—and where the bulbous radiance had successfully driven off the last of the fading substance around it. Saikah had no time to think more on the matter. Realizing all too late that the blazing object was headed her direction, Saikah surmised there would be no place to run if it were large enough to cause the kind of explosive cataclysms she was so accustomed to seeing in movies. She could neither tell how large the thing was, nor how fast it was truly moving. Not that either piece of information would have mattered. Physics was never her favorite subject. And so all she could do was wait and watch. Luck, it seemed, was on her side for the moment. The meteorite briefly vanished behind a bit of cloud before reappearing as a pure streak of glorious white light, free of the fiery torment that had followed it a moment before. Ripples raced across the sky, distorting the stars beyond. The mountain air became thick, heavy, and Saikah’s body felt as if her skin and bones were made of lead. The ground beneath her shifted, nearly sending her sprawling head over heels. But for all her dread of the impending impact, Saikah found that the light was streaking at a growing angle aimed north of her position, and she took shameless comfort in that fact. But her comfort lasted for less than a mere breath. Searing light enveloped the mountains as the object vanished behind a small ridge. Saikah’s entire world exploded in a violent burst of shredded wood, flaming brush and jagged bullets of searing rock. The stars above her were quickly veiled by a doming billow of dust and flying mounds of debris. Blistering heat burrowed just beneath her scalp as one of the flying pebbles struck her down. How long Saikah had been unconscious, she could not tell. All she could be sure of was that her whole body ached, and few spots on her skin lacked shallow cuts or throbbing bruises. Thick layers of cooled ember and dirt covered her arms and legs. She coughed up a dry cocktail of dust and muddy spittle as she attempted—without much initial success—to sit up. Scratchy pangs vibrated in her throat with each wheezing breath. Were it not vital to do so, she might have stopped trying to breathe altogether. A veritable field of ash and fluttering cinders had engulfed everything the poor girl knew. Many of the trees in the area were torn into indistinguishable fragments of wooden splinters. Those still standing were alight with fading flames. Smoke choked the light of the moon and stars from the air, but red and orange hues from raging fires highlighted the remains of the scorched land and brought the reality of the disaster into full view. Just over a nearby curve in the side of the mountain, at the bottom of a steep slope less than a quarter mile away, a massive crater scarred the landscape. Beyond it, dotting the land of adjacent hillsides and other wooded slopes, blackened crevasses in the tree lines marked where fires had already calmed. Massive, cracked, smoldering rocks unevenly encircled the sloping crater, each a monolithic tooth of the great, fiery maw burning away the countryside. Ignoring every logical bone in her body, Saikah timidly trudged over the ruined land to gain a closer vantage of the center of the disaster. Nearly becoming a negligible smudge amidst the destruction was not close enough for whatever suicidal, adventurous spirit drove her onward. As she edged her way down over the banks of the crater leading into the sweltering center, a small glimmer of oddly colored light flashed from beneath a rather significant rise of stone. Wisps of white emanated out from the source and mistily caressed the surrounding scorched earth. Sweat stung Saikah’s eyes, making it all the more difficult to see through the flickering firelight and steaming air. But she continued on, despite her fierce desire to return home and pass out beneath a cool fan. Some small part of her wanted to take something more than nightmare fuel away from this place. The light before her welcomed that pursuit. Encouraged it, even. Something in the alabaster luster at the center of the crater exuded familiarity she could not place and called to her from within the mist, carrying a whisper of nostalgia—of comfort. Of safety. As soon as Saikah approached the mist, her body reacted before her mind could make sense of what she was seeing. A body, bathed in white light and shrouded in equally white, flowing garment, lay beneath the giant slabs of overturned rock. The body was turned face-down and partially buried beneath waves of disturbed, scorched dirt, much like Saikah had been. It was barely distinguishable as human, mostly due to being concealed by the bright luster and dull earth. Male, if Saikah had to guess, with long, ethereal hair that fluttered in slow, steady waves above the ground, oblivious to gravity. She could not see much more than the man’s head, left arm and the outline of his torso bulging under the displaced earth, as the rest was pinned beneath the dimly glowing slabs. It was only after realizing that her hands were blistered and bleeding that Saikah released her grip on the impossibly heavy—and impassively hot—stone atop the glowing stranger. If the stones were but a little hotter, Saikah was certain they might trade their solid, sturdy mass for one of pooling magma. For her to walk away with mere blisters was nothing short of lucky—if not an impossible contradiction. She should be lit aflame standing so close to such heat. And yet there she remained, panicking for the safety of another, untouched by that fatal probability. Why do I care so much? I-I don’t know him. I don’t even know what he is, much less who. Why do I want to save him so badly? Ignorant of her previous lesson, she placed her shaky palms on the rock and found it far cooler than before. Instead of deathly heat, as though through the stone, itself—no less odd a conduit as any for a sensation so strange—Saikah felt the very presence of the stranger. His felt similar to the one that had called her to the crater, just as it urged her to look up in the first place to behold terror incarnate. Moreover, she could feel the core of the sensation, the essence of the stranger, rapidly diminishing. Is … he dying? What a stupid question, of course he is! But what am I supposed to do? What can I do? And … why do I care? Not expecting an answer only made receiving one that much more surreal. I’m hearing things, again. Great. Saikah thought nothing of bothering to turn to face the source of the little voice. Facing her own delusion could do little harm, or so she thought. So Saikah turned, expecting nothing but flame and dust to greet her. No more than a few feet away stood a sickly thin girl wearing a thick jean jacket and simple dress. Soft, radiant blue eyes glared at her from beneath uneven locks of raven hair. Were Saikah less exhausted, she would have leapt back in surprise. “Who are you?” Saikah asked, trying to hide the tremor in her dry throat. “Y-you’re really here, aren’t you?” Saikah said, stammering. This entry was posted in Chaos. Bookmark the permalink. Reblogged this on Lost in Light ….